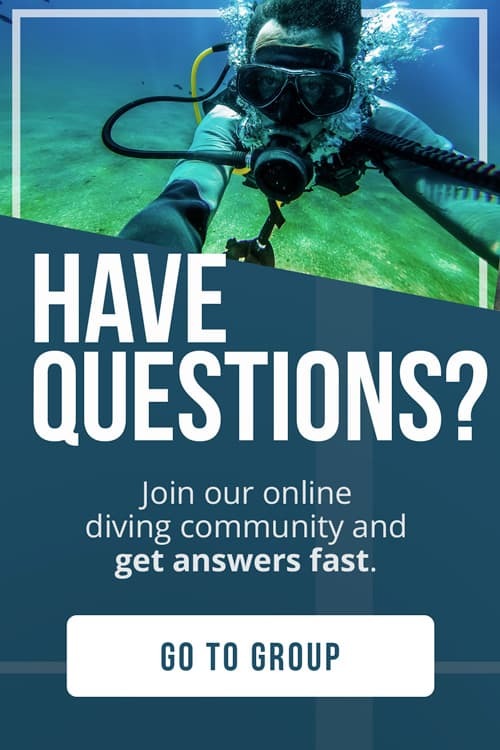 Are you planning a dive trip in December? 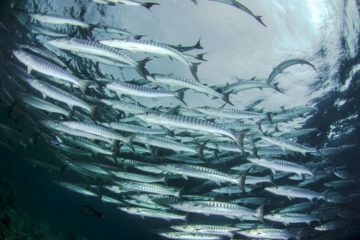 This is a great month to go diving in the southern hemisphere, where waters are balmy and you’ll see plenty of marine life. If you’re wondering which places should be at the top of your list, take a look at this article on the best liveaboard destinations to go in December. December is dry season in the Bahamas and the Turks and Caicos Islands, bringing comfortable diving conditions. Over in Djibouti, December is one of the best months for seeing whale sharks. And finally, it’s summertime down in the southern hemisphere. You might encounter some rain but you’ll have a good chance of seeing manta rays in many places. Enjoy your trip! The Bahamas are a Caribbean archipelago with more than 700 islands, atolls and coral cays. The region is known for being one of the best places in the world to dive with sharks. However, a Bahamas liveaboard will also deliver you to incredible caves, blue holes and shipwrecks teeming with fish. 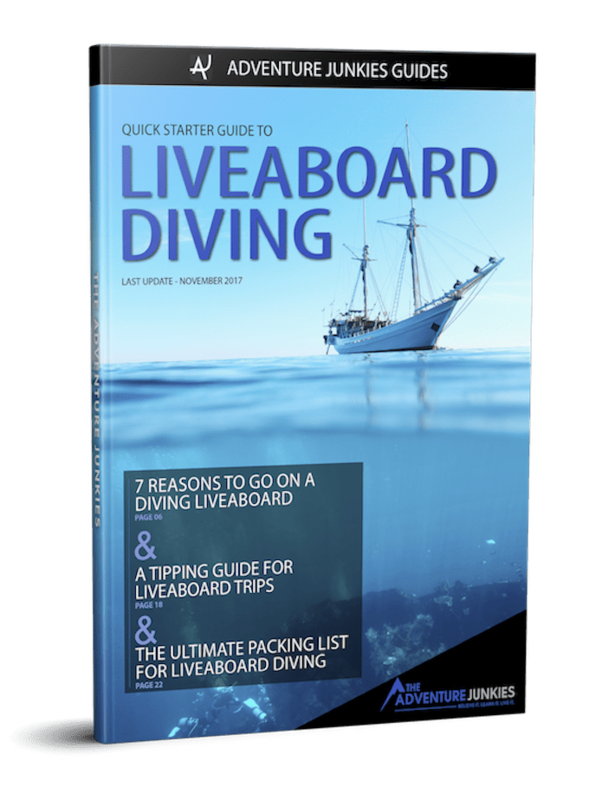 Since many of the dive sites are quite shallow, this is a great option for beginner divers. December is shark season in the Bahamas, and divers can see tiger sharks at Tiger Beach and hammerheads at Bimini. You can expect warm, dry weather for your trip this month. Be sure to book ahead as this is high season. The sparsely populated Turks and Caicos Islands consist of about 300 islands that are home to sea turtles, dolphins and colorful fish. A bonus for beginner divers is the steep drop-offs with hardly any currents. 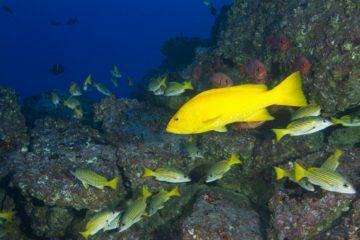 The protected reef system is healthy and vibrant for now, but research shows that it is under imminent threat from climate change, so dive while you can! Because the islands are quite far from each other, the easiest way to dive the area is by liveaboard. Temperatures drop a little during the dry season in the Turks and Caicos Islands. Visibility varies according to the dive site and can reach up to 100ft (30m) in some places. December is the beginning of high season for diving so be prepared to pay a little more for your Turks and Caicos liveaboard. Aspiring underwater photographers will be in their element on the bustling coral reefs of the Seven Brothers Islands or the Gulf of Tadjourah. Meanwhile, advanced divers won’t want to miss the opportunity to explore underwater volcanoes or dive between tectonic plates. A Djibouti liveaboard promises exciting diving at the mouth of the Red Sea. This is one of the best months to dive Djibouti. Aside from manta rays, divers who come in December have a chance of seeing groups of migrating whale sharks. Water temperatures are comfortable but visibility is not the best this month. Deep in the heart of the Coral Triangle lies Raja Ampat, an archipelago of over 1,000 islands with 1,500 kinds of fish and more than 500 types of coral. Macro lovers, pelagic lovers and wreck lovers will all be happy with Raja Ampat’s varied diving scene. Much of the diving here is drift diving so consider leveling up your PADI certification before booking a Raja Ampat liveaboard. December in Raja Ampat tends to be fairly dry, although you may experience the odd shower here or there. Water temperatures lean towards the warmer side this month, bringing plankton blooms which attract hordes of manta rays. Divers can expect relatively calm surface conditions. Malaysia’s only oceanic island, Sipadan is the awe-inspiring product of coral growth over many millennia on top of an extinct volcano. Today, divers can discover a plenitude of marine life along a steep wall that plunges 2,000ft (600m) to the ocean floor below. 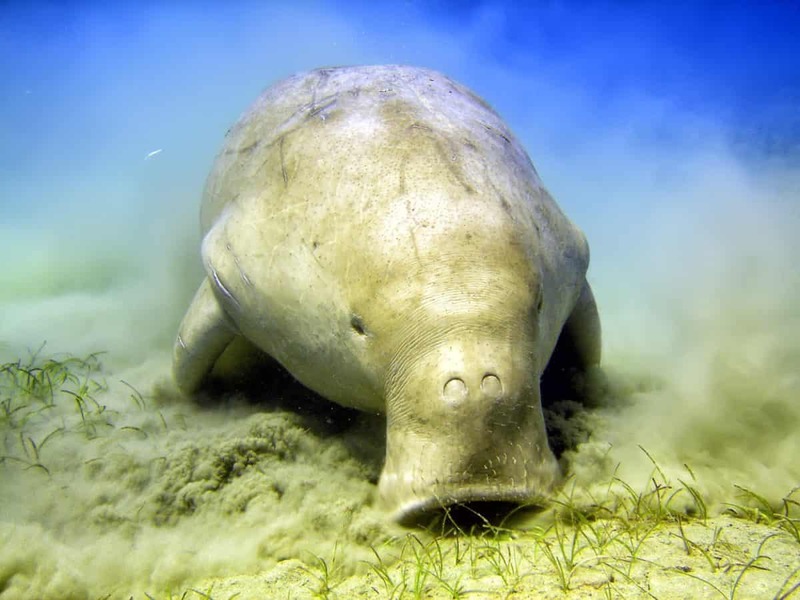 It is forbidden to stay overnight at Sipadan so your best bet for diving here is to book a Sipadan liveaboard. December is the beginning of the rainy season, although this is variable and you may get no rain at all. Surface conditions at Sipadan are usually very calm. Many marine species including seahorses, white-tip reef sharks, turtles and bumphead parrotfish can be seen year-round at Sipadan. However, if you come in December you can also see hammerhead sharks. The amazing underwater geography of the Similan Islands features caves, pinnacles and enormous granite boulders. Advanced divers can go drift diving in hopes of seeing whale sharks and manta rays. There are also plenty of easier reef sites with fantastic fish and macro life. Due to the somewhat remote nature of the islands, most people to visit with a Similan Islands liveaboard. You might experience some choppy waters but in general, the weather is calm, with little rain. Water temperatures take a slight dip this month, averaging between 77 and 84° F (25 and 29° C). Visibility varies depending on the dive site. Most of the diving in Burma centers around the Mergui Archipelago, which was only recently opened to the public. This means that with a Burma liveaboard, you’ll be one of the first to dive the region. Shark sightings are pretty much a given at some dive sites and there is plenty of intriguing macro life out there. Check out this article on identifying fish before you go so you know what you’re looking at! Diving season in Burma is quite short, and December has some of the best conditions for diving. The dry season sees cool weather with a high chance of thermoclines. Visibility should be fairly decent and the surface conditions comparatively calm. Despite this, much of the diving in Burma is best suited to advanced divers due to the strong currents, tunnels and drop-offs. HIGHLIGHTS: Be one of the first to dive the area! Although India has a fair amount of dive sites accessible from the mainland, most people who dive here choose to go with an Andaman Islands liveaboard. A vast portion of these splendid islands is protected, meaning healthy marine life and uncrowded dive sites. Sadly, the famous swimming elephant Rajan is no more. It’s impossible to dive during monsoon season so December is one of few months when you can visit the Andaman Islands. Divers coming at this time have a chance of glimpsing manta rays and dugongs. This is high season so try to book ahead for the best deals. A sheltered volcanic archipelago in the Pacific Ocean, Palau boasts gorgeous soft corals and exquisite macro life. Pelagic lovers won’t be disappointed, either – the country harbors the world’s first-ever shark sanctuary! 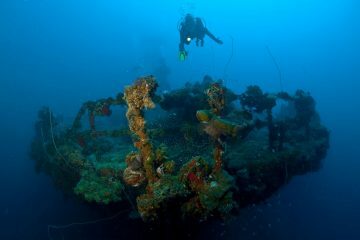 A Palau liveaboard trip also gives you the option of diving WWII wrecks, caves and blue holes. Truly an experience not to be missed! In December you can expect pleasant diving conditions, with dry weather and calm waters. Visibility can stretch up to 200ft (60m) in the more isolated dive sites. You should see plenty of interesting species no matter what time of year you come to Palau. You can cage-dive with great white sharks or drift-dive with sailfish along Australia’s extensive coastline. But the real draw of this continent is the Great Barrier Reef, the largest reef system in the world and home to more than 400 types of coral and 1,000 species of fish, many of them endemic. An Australia liveaboard will deliver you to the heart of the reef where you’ll see turtles, whales, clownfish and myriads of other marine species. This is summertime in Australia, with rainy periods and water temperatures reaching up to 85° F (30° C) around the northern end of the Great Barrier Reef. Visibility in the outer reefs will be affected by coral spawning after the full moon. The southern states see cooler water temperatures than in the north, dropping down to 72° F (22° C). Be aware that there may be cyclones in the northern states.